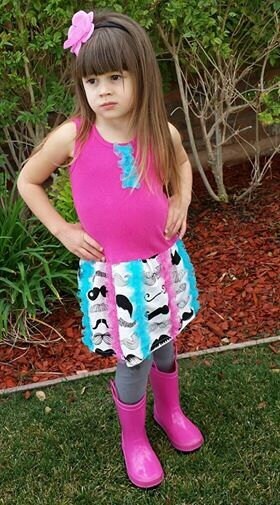 This dress is perfect for that family that loves "mustache" style attire or for brothers birthday party! Machine was on cold and tumble dry low or lay flat to dry. Dresses run very true to size. Please do not upsize without contacting me first to discuss sizing.